Strawberry research at Rutgers New Jersey Agricultural Experiment Station (NJAES) dates back to 1870. 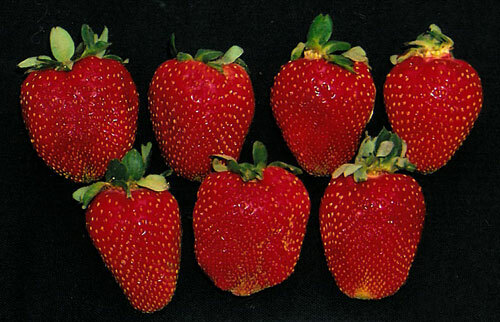 By the 1920s, strawberry research was focusing on strawberry breeding and variety trials. 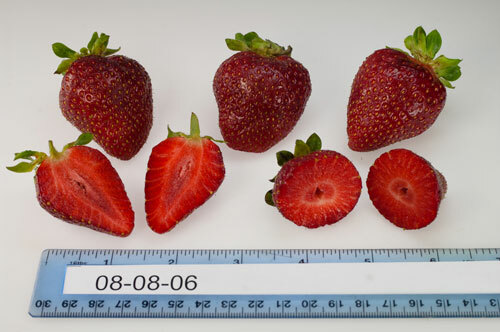 Some of the noteworthy strawberry cultivars released by Rutgers NJAES are Sparkle, Jerseybelle and Raritan. Sparkle (released in 1942) was a leading late‑season cultivar in the U.S. for many decades and is still available as an heirloom strawberry. Sparkle has high yields and berries with great flavor, but the size of the berry was considered small compared to newer varieties. Jerseybelle (released in 1955), quickly became the leading variety in New Jersey, because of its large, glossy and attractively colored berries. In 1963, Jerseybelle constituted 60 percent of New Jerseys acreage under strawberry cultivation. 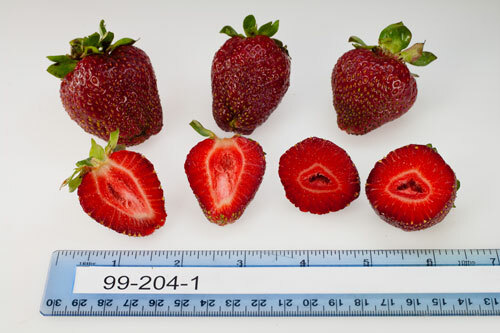 Raritan (released in 1968) was considered productive with flavorful berries, however, plants were susceptible to a range of diseases and this strawberry is no longer available commercially. 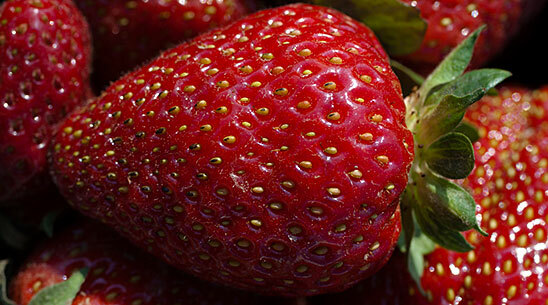 Between 1998 and 2000, Rutgers released 3 patented cultivars of strawberries. 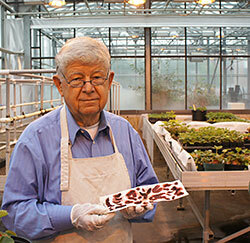 Rutgers professor emeritus Gojko Jelenkovic has spent over 35 years breeding improved strawberry cultivars. 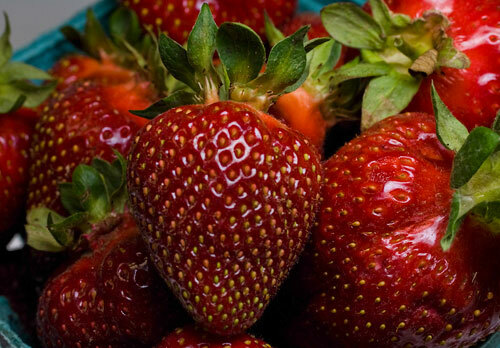 In 2014, three new Rutgers strawberry cultivars were submitted for patent protection. These cultivars were developed via traditional breeding techniques by Rutgers professor emeritus Dr. Gojko Jelenkovic. For over 35 years, Dr. Jelenkovic worked on improving strawberry yield, resistance to diseases, and, most importantly, fruit quality and flavor. 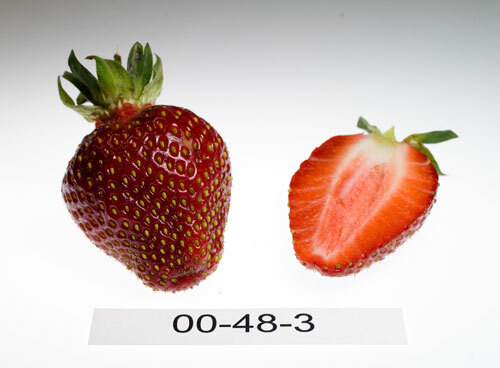 This work was followed by extensive testing of strawberry selections by Agricultural Agents Bill Hlubik and Peter Nitzsche in field trials at NJAES, observational trials at conventional and organic farms, and flavor evaluations by consumer taste panels. As a result, the cultivar Rutgers Scarlet™ (US PP27,587 – issued 01/24/2017) was released in limited quantities by Nourse Farms in the spring of 2015. 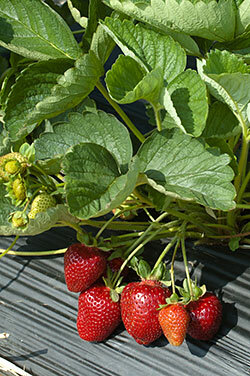 Rutgers Scarlet™ can be grown in both plasticulture and matted row production or on a smaller scale by home gardeners. Rutgers Scarlet™ has exhibited good production, but its most distinguishing characteristic is exceptional fruit flavor. 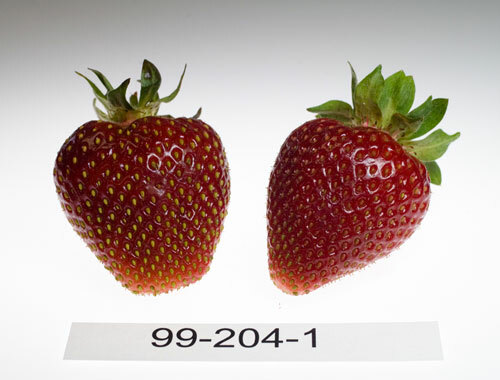 This new cultivar has the potential to increase strawberry production by eastern U.S. growers, especially of local farms with direct markets, while their customers will benefit from the availability of high quality fruit.